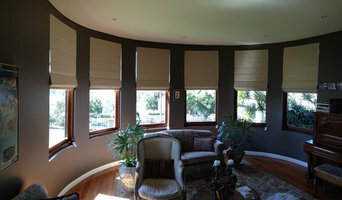 Southern Cross Security, Blinds and Awnings are specialists in quality interior and exterior blinds and awnings. We supply and install custom made to measure security doors and grills. We work in and around the Ipswich area with any type of residential or commercial premise to provide security, privacy, and style to homes, retail outlets, and commercial buildings. • Security doors • Security Screens • Crimsafe® • Blinds • Shutters • Awnings Call us on 07 3201 4868 any time Monday to Friday from 9:00 am to 5:00 pm for a free no-obligation quote and design options. We are committed to providing quality products at competitive rates. Shutterup Blinds and Shutters is a family owned and operated business operating from the Greater Springfield area since 2009. Shutterup Blinds And Shutters highly value punctuality, integrity and old fashioned common courtesy, and believe we are small enough for service but large enough for choice. 18 years of experience goes into all our blinds ,plantation shutters, external aluminium shutters and home security screens, giving all of our customers guaranteed service and quality from product customisation through to installation. 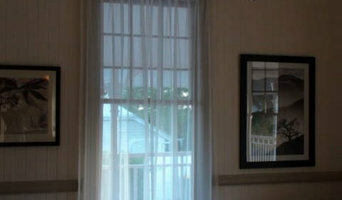 So for all your window furnishing needs call us for a free quote today and Shutterup tomorrow. 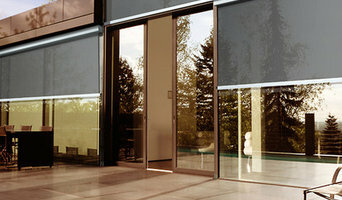 At Premier Blinds and Awnings in Brisbane we help you make the most of your greatest asset, your home. Whether you need internal shades or external awnings our extensive range can help protect you and your home from the sun’s harsh rays in summer and keep you warm in winter. IQ Rooms is a Gold Coast business specialising in curtains, blinds, shutters and Venetians We work with homeowners, designers and businesses alike with our full range of window fashions. In fact, we offer so much more with our window treatment designs and installations; these include soft furnishings and accessories. 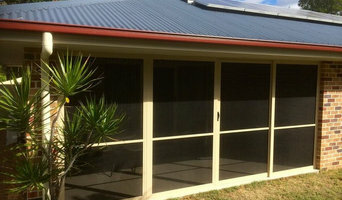 Instaco is a Brisbane based specialist of shade and outdoor solutions. Murrays Interiors is a Brisbane soft furnishing and curtain specialist with over 30 years’ industry experience. We specialise in made to measure custom curtains with a large fabric library suitable for most budgets. We can help with the colour and your fabric choice to ensure you get the right product for your needs. We’ll help you choose stylish furnishings that are functional for your needs. • Awnings • Internal Blinds • Curtains • Plantation Shutters • Upholstery • Wallpaper Our Mitchelton showroom is open Monday to Friday 9am to 5pm and 9am to 2pm on Saturday. For free quotes call our friendly team on 3355 7888. Aesthetic Blinds prides itself on providing advice on the right product and style for your window coverings, taking into account your need for sun, air and privacy control and of course, the aesthetics of the space. We take care in sourcing quality products from local suppliers, and give service only a small business can give. 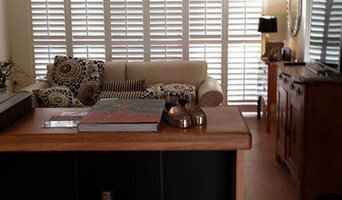 Lifestyle Blinds & Shutters have many years of extensive experience in manufacturing and importing a large range of timber blinds, fabric blinds and plantation shutters. We take great pride in the relationships we have with our suppliers, which have been forged over many years of working together to build quality products with the reputation of "value for money". At Lifestyle Blinds & Shutters we appreciate that a wide range of customer services are essential to support our distribution partners. These customer services include on-line ordering, sales & marketing support and guidance, customized point of sale merchandise and exceptional customer service contacts. By embracing an extended customer service approach we significantly enhance the value of all our manufactured products. Our belief and company statement is "to exceed customer expectations with master craftsmanship, incomparable beauty, competitive pricing and distinctive products." This wide range of quality blinds and shutters offers you endless choices that add function and fashion to your lifestyle - we are Fine Furnishings for your windows, we are Lifestyle Blinds & Shutters. Cullen’s Blinds is a Gold Coast family owned and operated company established in 1980 and is well known throughout Queensland and New South Wales for its range of quality blinds, shutters, awnings and security screens. Please see the products pages for our massive range of blinds available on the Gold Coast, Sunshine Coast and in Newcastle. Rainbow Shade is an Australian based company which distributes and wholesales top-quality shade fabrics and shade cloth to shade industry professionals in Australia. We have more than 25 years of experience in this field and supply our products to customers all across the country. As the leaders in shade fabrics on the Gold Coast, our clients can always count on exceptional products and excellent service. With years of experience know you can trust Rainbow Shade to honour our motto: Quality, Service, Integrity.